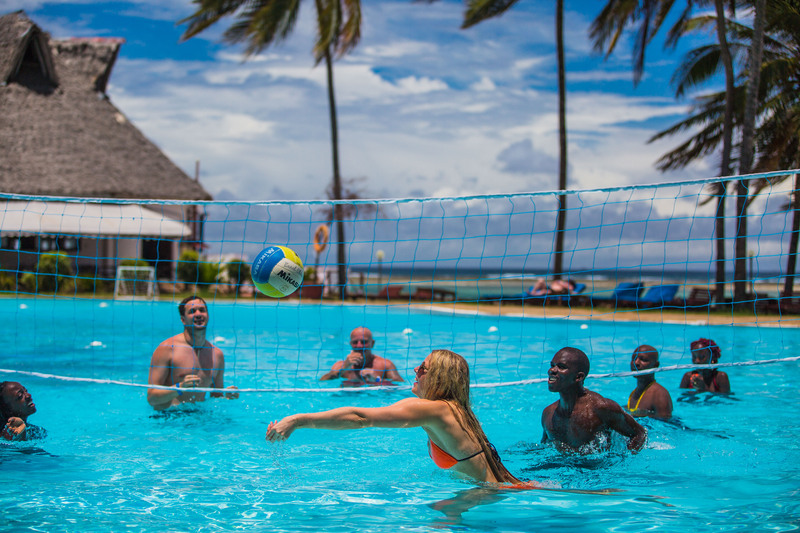 Mombasa Surf Hotel is located directly on the finest beach north of Mombasa ideal for learning and experienced Kite surfers. 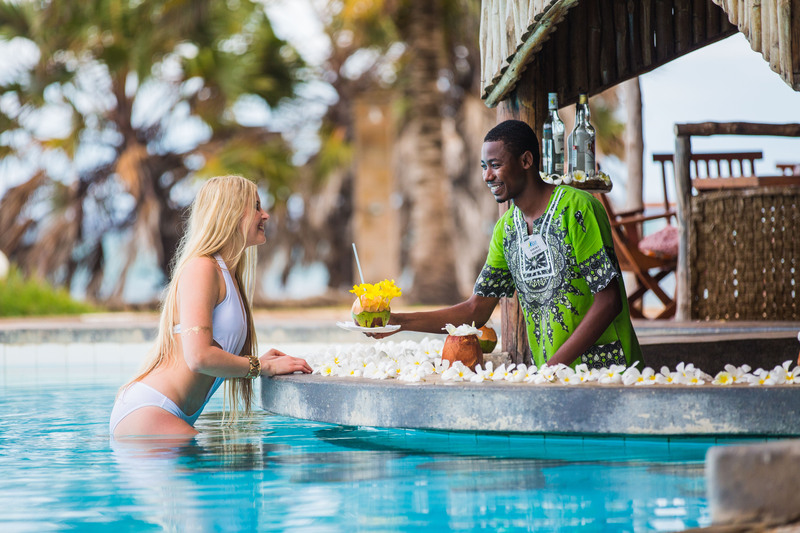 The hotel has 3 pools to relax, swim up bar and a busy beach bar with music day and night open late. 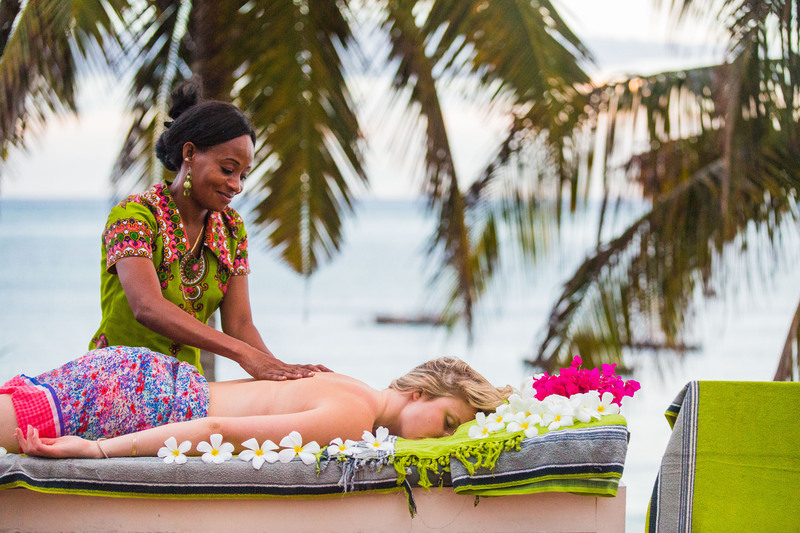 The surf club is on the beach and our staff will assist you on anything you need like storing, cleaning and guiding all surfers to the best spots. This is a wide large sandy beach with a reef break in front as well for experienced jumpers. 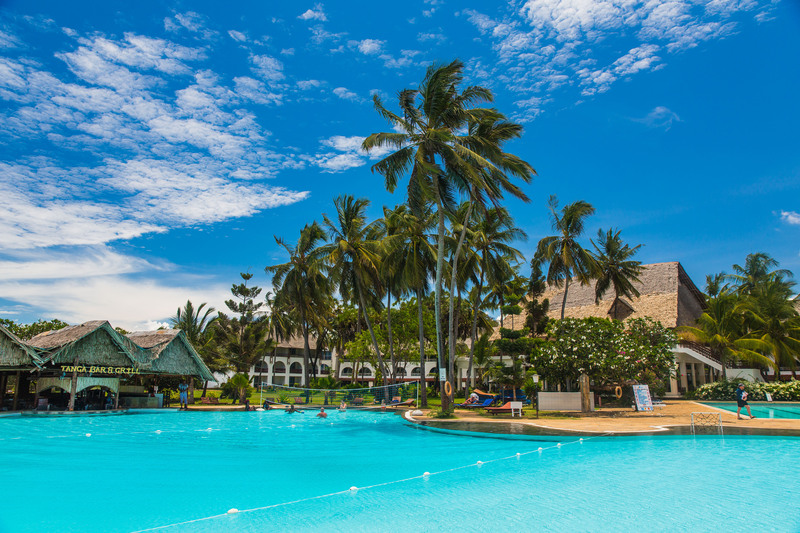 Mombasa is a friendly warm African city on the Swahili coast of East Africa. 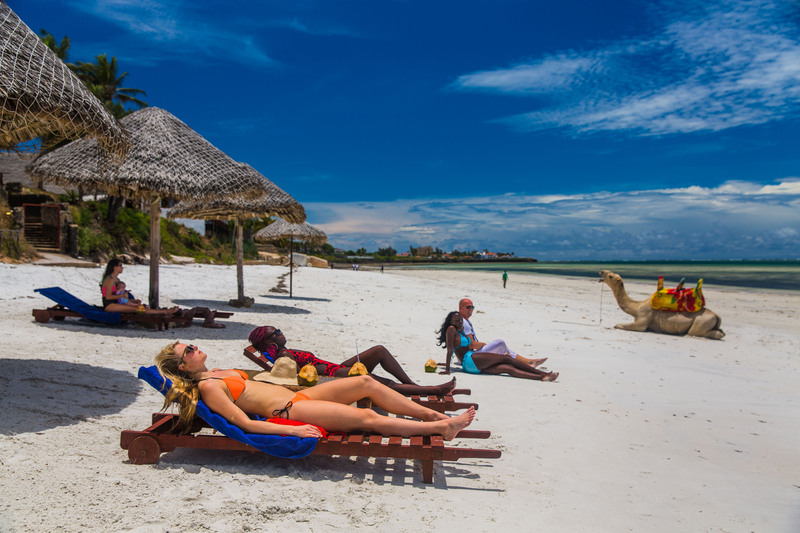 The beaches north of Mombasa island are dotted with resorts and hotels and offer an excellent selection of bars and restaurants and shopping. Transport is cheap to move around. There are 2 main weather seasons, the south east monsoon from may till October and the north east from December till March. The kite surfing and wave surfing is directly in front of the hotel at the beach so there is no need for transport once you are in the hotel. The lagoon inside the coral reef can be surfed all year round and with high tides each day you can reach over the coral reef and jump on the waves. 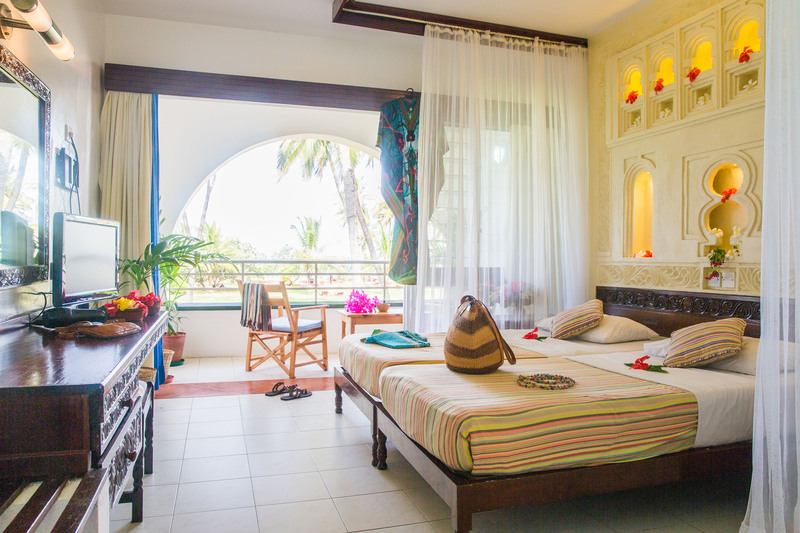 Mombasa Surf Hotel is located directly on the best surf spot in the sandy beach on the north coast of Mombasa. All the rooms have a balcony, private bathroom and AC. There is a large garden in the hotel to clean and dry out gear after surfing. 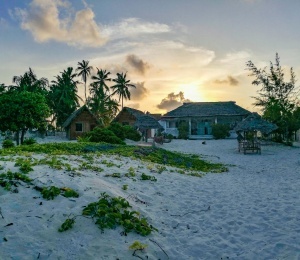 When you wake up you are literally in front of the beach to go surfing and if the tide is out you can enjoy the 3 swimming pools to relax, or listen to music in the beach bar. Tours to shopping centers and Surfari parks can be organised on a daily basis. 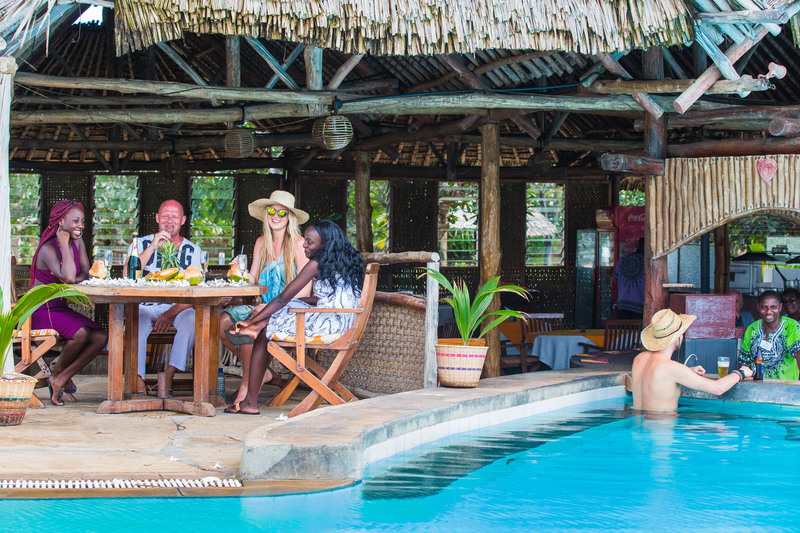 Evenings here at the hotel are always very entertaining, guaranteed fun after dinner for all guests. 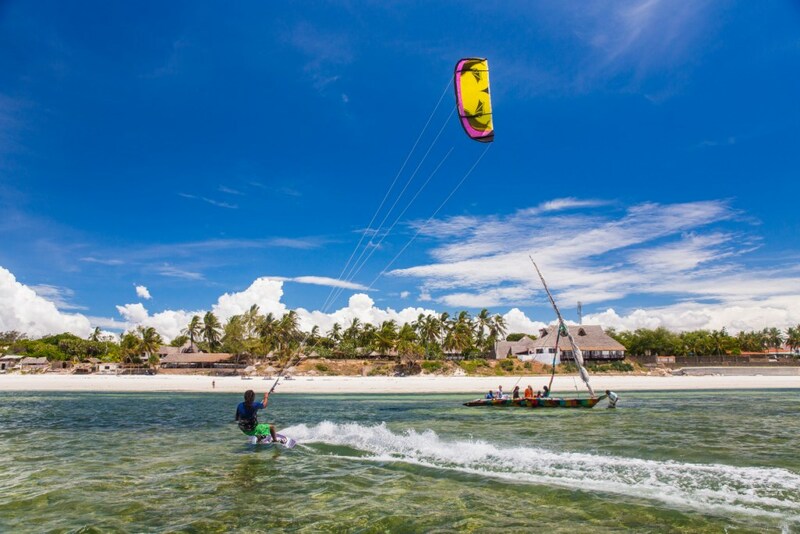 Kite surfers have discovered that Mombasa is an ideal year round destination for many levels of experience. 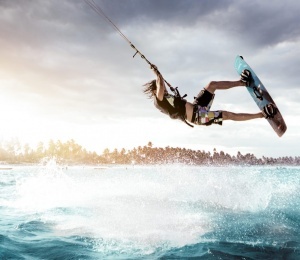 With the monsoon winds, during the day the winds can start slow and pick up in the afternoons for more experienced kite surfers test their jumping skills. May and June can have strong gusty winds, with possibility of some rains . July and August winds are consistent and strong enough to kite every day at all tides. September and October still have decent winds but in November the winds die a lot as the seasons change and the wind moves to the north. From mid December the wind is excellent again till March. By end of March and April there is less wind again. All kite surfing is done directly inside the lagoon protected by the coral reef and you have over 10 Kms of lagoon to kite up and down. It is about 1 km to reach the coral reef for the high tide wave jumpers. SURFINN © 24-04-2019 04:22:37. ALL RIGHTS RESERVED.